At the police station, people in need of assistance will be greeted by the friendly faces working at the front desk. There are three staff members that work the front desk on a regular basis, two Special Constable and one Constable. Whether it be getting an accident report or police background check, getting in contact with a specific officer or reporting a crime, the officers working the front desk are always happy to help. 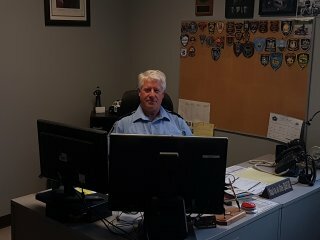 The constables working at the front desk also oversee non-emergency calls, handling calls that will lighten the burden for the dispatch team working on emergency calls. The front desk work closely with fellow officers to help settle disputes and problems. If the situation calls for it, the front desk can dispatch an officer to help with the matter. Front desk is open from 6 a.m. to 10 p.m. at the Belleville Police Station located on 93 Dundas Street East. Those looking to make payments at the station, such as a police criminal check, must have the exact amount in cash.